ACCOMMODATION : book soon !! The 24th Innovation and Product Development Management Conference (IPDMC) will be held from Sunday, June 11th to Tuesday, June 13th, 2017, at Reykjavik University in Reykjavik, Iceland. The associated doctoral workshop will take place from Saturday, June 10th to Sunday, 11th June, 2017. Reykjavik University is a modern, dynamic university situated in the heart of Iceland's capital. It offers graduate and undergraduate studies in business, law, science and engineering, and computer science. Reykjavik University emphasises hands-on learning that prepares students for the challenges they will meet after graduation. This means working with other students completing actual, real world assignments and projects, often in collaboration with companies and institutions. This is one way in which students benefit from Reykjavik University's extensive links with industry. Classes are kept small to encourage interaction between students and professors. 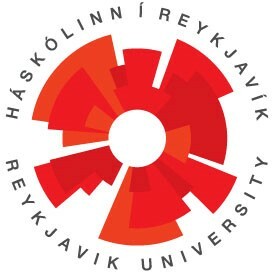 Reykjavik University is at the forefront of research in Iceland and has developed a productive and ambitious research environment. IPDMC has established itself as the leading annual international conference in the domains of innovation management and new product development. Papers presented at the meeting come from multiple disciplines. Adjacent areas such as technology management, entrepreneurship, marketing of innovations, creativity, and design are significant parts of the programme. The conference has become the focus of important networking among innovation and product development management researchers, for PhD students and junior faculty as well as senior faculty. It is the annual event for researchers in the field and serves as the annual meeting of a virtual society with participants enjoying coming back to meet colleagues. The ambiance is know as friendly and supportive. Unlike in previous years, the 2017 conference does not have a specific theme. This is intended to signal the inclusive nature of the conference and the community of innovation and new product/service development researchers who participate. Submissions covering leading edge topics and new trends are welcome. Throughout its history, IPDMC has accepted papers from a range of disciplines, including organisation studies, marketing, management, technology management, organisational psychology, creativity and design. The conference welcomes all authors who are interested in managerial issues related to innovation and product/service development. This includes research on, but is not limited to, issues that are listed as the themes and areas for the conference below. After the Conference, the Conference Board and Scientific Committee will encourage selected authors to submit their papers for review to the Journal of Product Innovation Management or Creativity and Innovation Management. New in 2017, challenge sessions differ from traditional conference sessions in that in addition to preparing a presentation of his/her own work, each presenting author reviews one of the other papers presented in the session. Following each 20 minute presentation, the designated reviewer discusses the paper and asks questions for 5 minutes. The reviewer can prepare one PowerPoint slide to summarize his/her main points or issues. Challenge sessions end with 5 minutes of discussion with the session chair and audience. Challenge sessions provide the opportunity to receive additional comprehensive feedback on manuscripts and presentations. The abstract submission system gives authors the possibility to opt in to have their paper presented in a challenge session. Opting in allows authors to signal their interest in presenting under this format, but is not guaranteed. The goal of the review process is to select a number of papers that will stimulate discussion and the development and dissemination of new knowledge. Some papers will inevitably be more fully developed than others; however, it is hoped that each author will gain insights during the conference that will strengthen their own research and introduce them to other scholars who share their interests. The review process examines over 300 submissions each year. Authors submit an extended abstract of about 500 words in length (November 4, 2016). This abstract should identify the central research question and theory base for the research, introduce the most important references and describe the methodology, empirical base, analysis, and results. Accepted Authors of accepted abstracts are expected to submit final papers. Conference registration and participation by at least one co-author is required for publication in the conference proceedings. (USB key). The Conference Board will select one Best Paper out of the papers submitted. The author(s) will receive an award during the closing session of the conference. The IPDM Conference is a unique opportunity for researchers of different backgrounds, but with a common interest in management of innovation and product and service design and development, to present cutting edge research and exchange views. The conference provides ample opportunities for both formal and informal discussions of the work presented, as well as for discussions about future international and interdisciplinary research co-operation. The primary focus of the conference is on empirical research and managerial issues, although very high quality papers developing substantive theory will be considered. Regardless of the type of paper, the theoretical base must be made clear, and references to the extant research in the field must be made explicit. A template must be used to submit (see 'call for papers' section). The conference includes a Doctoral Workshop which will be held prior to the main conference. Anthony DI BENEDETTO - Temple University, Philadelphia, PA, U.S.A.
Gloria BARCZAK - Northeastern University, U.S.A.
Ludwig BSTIELER - University of New Hampshire, U.S.A.
Regina McNALLY - Saint Xavier University, Chicago, IL, U.S.A. The　Doctoral Workshop　is an integrated part of the IPDMC conference (since Hamburg in 2008). It will start on Saturday June 10 at noon, with a light lunch, and will continue through Sunday, June 11, ending with lunch. To stimulate academic scholarship, discussions of ideas and dialogue among students and researchers from different countries in the field of INNOVATION AND PRODUCT　DEVELOPMENT　MANAGEMENT RESEARCH, we invite all doctoral students from these domains worldwide to attend this doctoral workshop. PhD students in early and middle stages of their PhD research project are particularly encouraged to participate and present their research proposals, preliminary results and their reflections on issues related to theory, methods and analysis. In case the PhD dissertation is not a monograph and is made of a series of articles on a common theme, the candidate can present a part of her or his work. Some sessions will be plenary sessions focused on general topics of interest to Ph.D. Students, such as: identifying interesting and researchable topics, publishing your research and academic career. Other sessions will be organized into smaller groups based on research and proposal materials submitted by the students, with one senior researcher in each group. Doctoral candidates interested in attending and presenting their research proposal and/or reflections on their work to date (not the results of finished research) are requested to submit a description of their research. Reflections on data collection and analysis. We expect written materials to be between 5-10 pages in a pdf document. Upon successful completion of the seminar (full attendance), the participants will be given a certificate and granted 2 ECTS. Gloria BARCZAK, Professor, editor-in-chief the Journal of Product Innovation Management, College of Business Administration, Northeastern University, U.S.A.
Abbie GRIFFIN, Professor in marketing at the David Eccles School of Business, University of Utah, U.S.A.
Thomas, P. HUSTAD, Professor, Kelley School Of Business, Indiana University, U.S.A.
Reykjavik is a very popular tourist destination so participants are advised to book their accommodations early. Most hotels within Reykjavik are conveniently located near public transportation. You can reach Reykjavik University conveniently from almost anywhere within the city of Reykjavik using the public transport system. Full information can be accessed at www.bus.is. Excellent taxi service is also available, see for example here: http://www.hreyfill.is/en/. Several smaller guesthouses and hostels can be found on www.booking.com or www.airbnb.com . Iceland is served by over 20 airlines, all of which have scheduled flights to the International Airport in Keflavik. Frequent bus services are offered between the airport and hotels in Reykjavik. The bus trip takes about one hour. Taxis are also available and the trip by car takes 40-50 minutes. 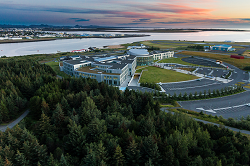 Reykjavik University is easily accessible by bus and some hotels are within walking distance. If you plan to spend a couple of extra days in Iceland or will arrive early on the Sunday you have a large range of options for sightseeing. If you only have a few hours, wandering around Reykjavik on foot is a great way to spend an afternoon. If you want to visit the Blue Lagoon before or after the conference, please make sure you book your ticket here: www.bluelagoon.com. Please note that pre-booking is required to visit the Blue Lagoon and the earlier you book the lower the price. Convenient transfers are available from Reykjavik Excursions (https://www.re.is/) and if you take this option you can book the transfer and ticket to the Blue Lagoon in one package. 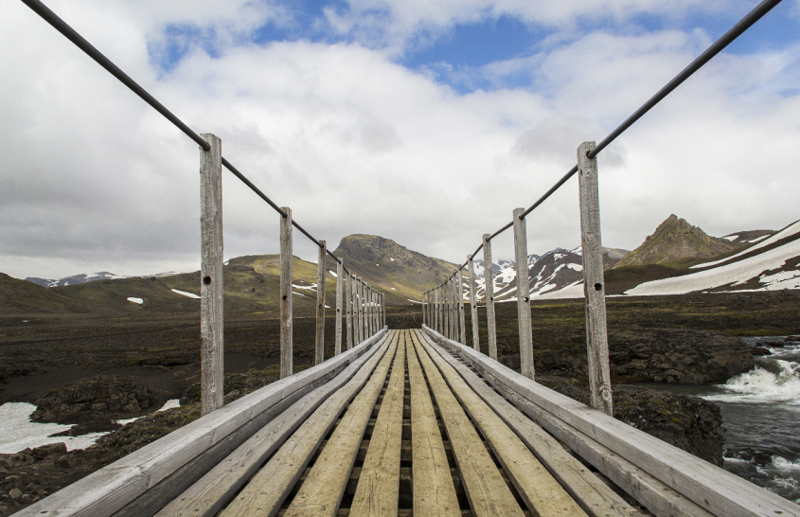 The Reykjavik Sightseeing (http://reykjaviksightseeing.is/) tour operator offers a number of interesting day tours, including the classic „Golden Circle“ tour and the somewhat more adventurous „South Coast and Glacier“ tour. Finally, if you are spending more than one extra day in Iceland, you might want to consider renting a car and exploring on your own. This is a particularly good option for groups of 2-4 people. The Conference will start on Sunday afternoon June 11 with registration and a welcome reception. The academic programme of the Conference will start formally at 08.30am on Monday June 12 and is scheduled to end at approximately 6.00pm on the following day. Cancellations made before May 20, 2017 will be reimbursed minus 20% of the total fee. No reimbursement will be possible after that date.